In line with clients' variegated requirements, we bring forth a distinguished collection of the Limestone Poultry Grit. We bring forth the superior Limestone Grits to the clients. Our Limestone Grits are used as a dietary supplement for the poultry. Limestone Grits, offered by us, are free from impurities and are safe to consume. We make available the Limestone Grits in quantities as specified by the clients. We are manufacture and supply superior Limestone Grits to the clients. Our Limestone Grits are used as a dietary supplement for the poultry. Limestone Grits, offered by us, are free from impurities and are safe to consume. Avail from us high quality Limestone Lumps. These Limestone Lumps are extracted from the mineral-rich belts of Rayalaseema , AndhraPradesh. 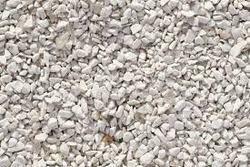 Our Limestone Lumps are properly refined and processed at our various factories. 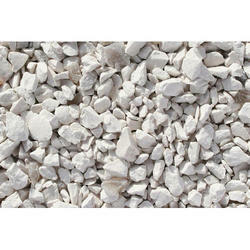 Our Limestone Lumps are of high quality and are used in many industries for various purposes. They crystalline shape is relatively regular meanwhile of a narrow variety, and they are pure and transparent, possess medium-high toughness, impact resistance and thermal stability. Suitable for making medium quality tools for general purpose applications, such as sawing, grinding and milling of asphalt, concrete, granite, marble and limestone etc.